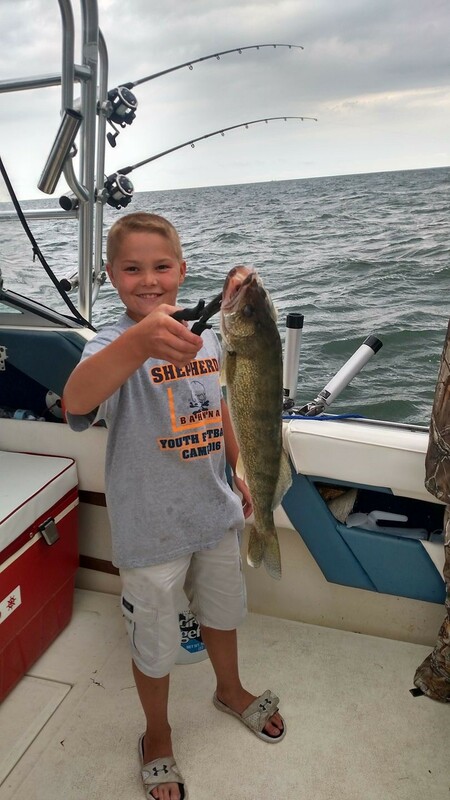 Charters leave the Linwood Marina at 7AM and head out into the Saginaw Bay for 5 hours or until you catch the limit. 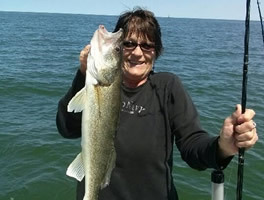 Then you will head back to clean the fish before leaving. Looking for a place to stay? 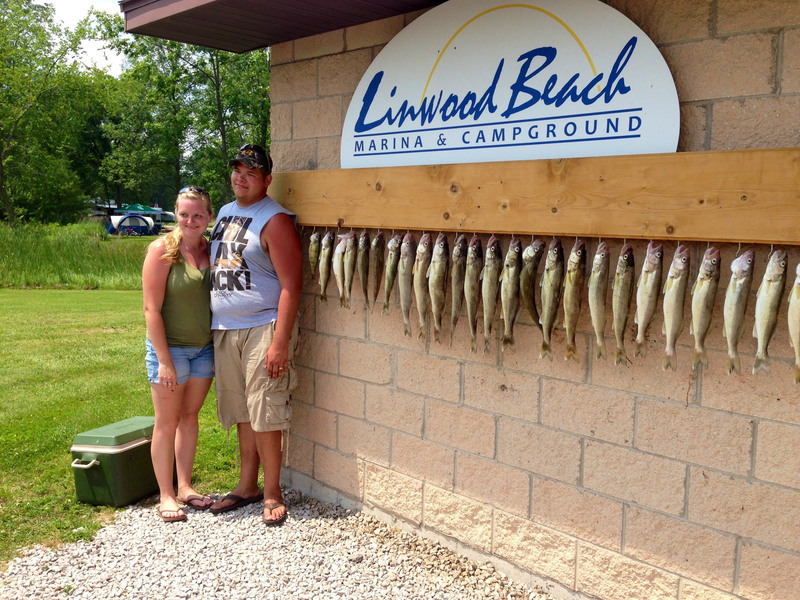 Linwood Beach Marina & campground is right next door. 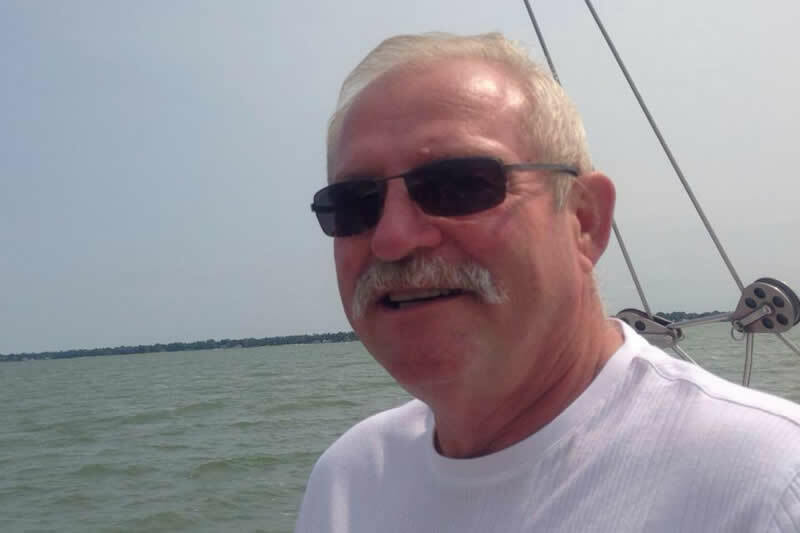 Click or Call 989-697-4415 and tell them Captain Doug set you. 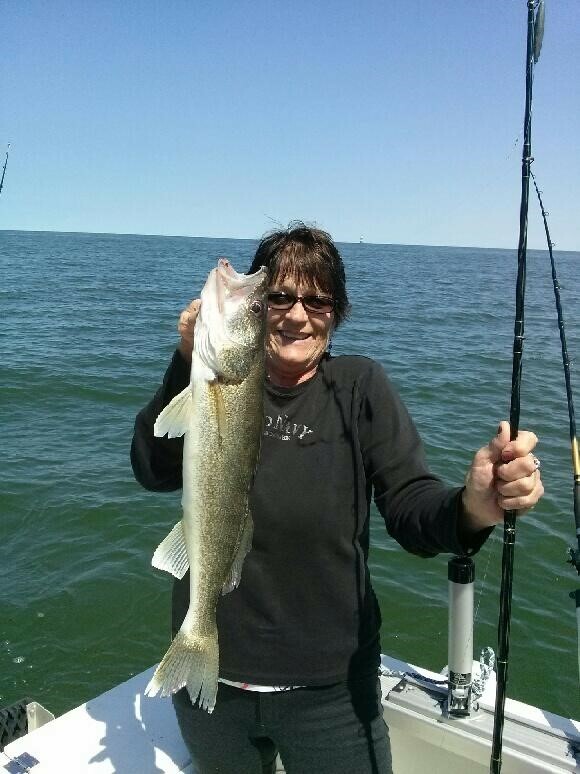 Not up for sportfishing? 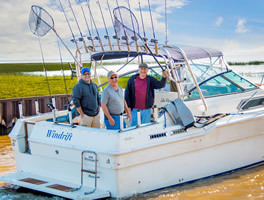 You can book a sunset cruise or a scenic ride on the river. 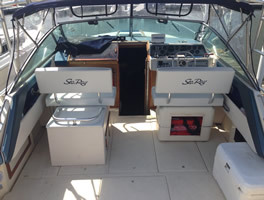 A 30' Sea Ray Express Cruiser. 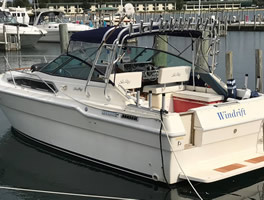 She has up to date Lowrance electronics, Simrad Autopilot, sound system, new stringers and new motors. There are 29 pole holders on board. Should the need arise there is a stand up head available. 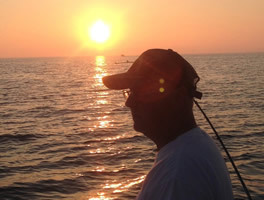 Captain Doug first started charter fishing in 1980 in Manistee and stayed active through 1990. 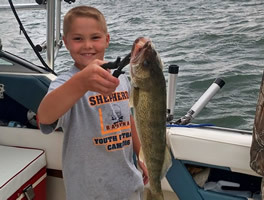 A family health issue required his attention and slowed down his angling for almost 10 years. 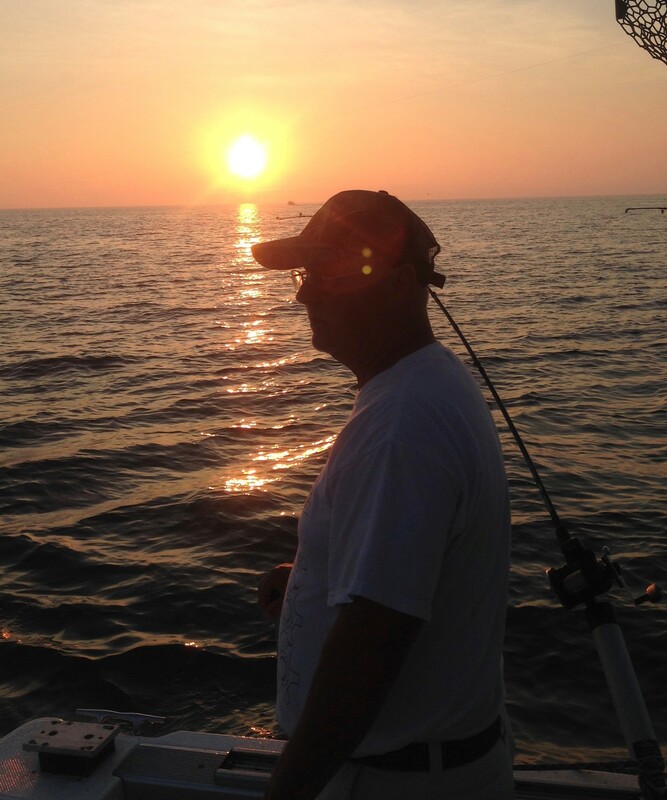 By the mid 90's he was able to return to his love of fishing and purchased a boat. He eventually traded up and currently captains a 30' Sea Ray, a fun boat for all that go out on it. 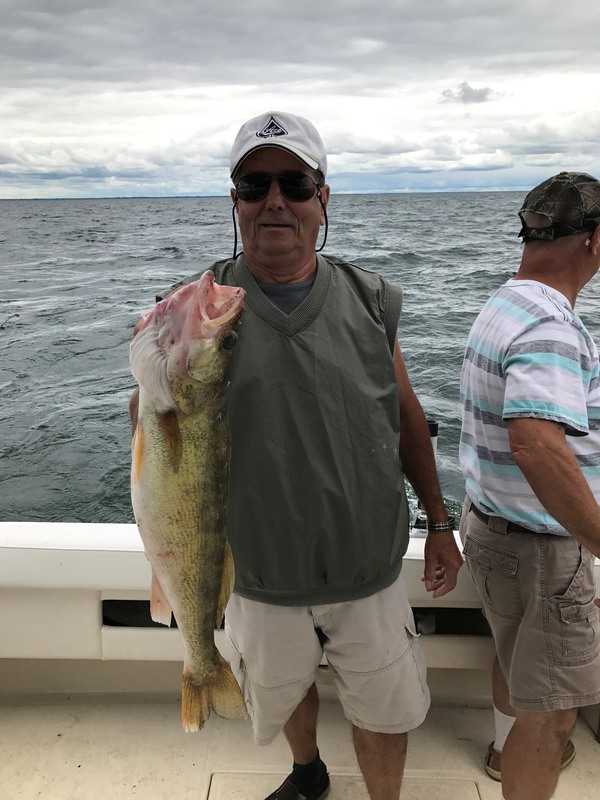 He enjoys the people that come on his boat and share the camaraderie along with the good times on Saginaw Bay out of Linwood. 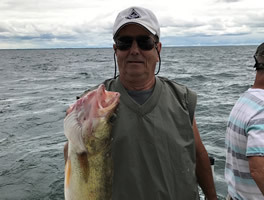 I caught a fish and it was this big. 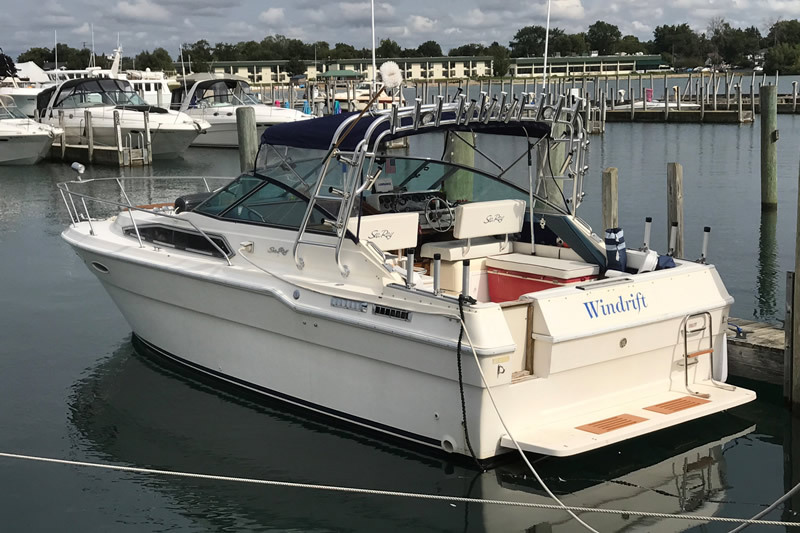 Contact Douglas McQueen, Captain of the Windrift - a 30ft Sea Ray Express Cruiser, for more information about booking a sportfishing charter. If he doesn't answer, please leave a message with your name and phone number and he will get back to you ASAP! 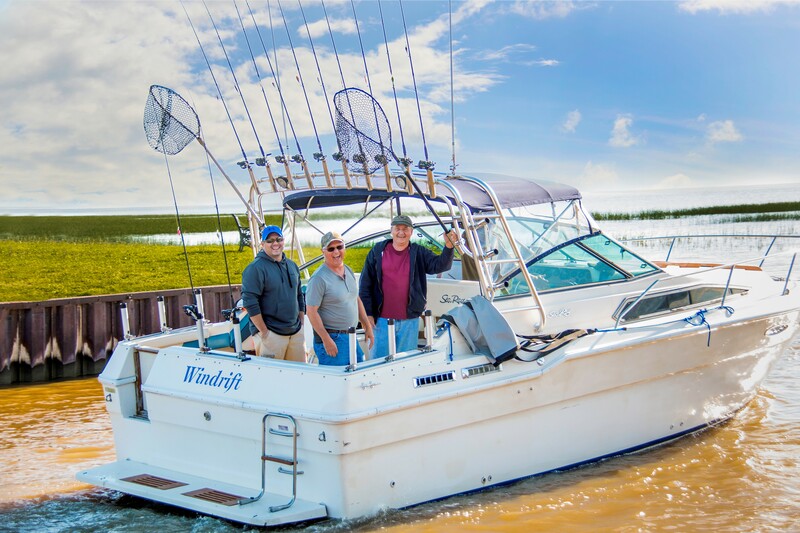 © Windrift Charters. All rights reserved.